Copying the assemblies of the important brands was straightforward, compared to truly controlling the guitar’s voice. Hoover turned to the printed body of knowledge on centuries of violin refinement as the sole source of the true way. Herein lay the key for taking his favored instrument out of the realm of the factories and into the enlightened practice of traditional lutherie. The quest included independent experimentation, the grace of mentors, countless repairs, restorations and the construction of numerous guitars and carved-top mandolins. Throughout the process, a concept grew. If I try to figure this out by myself it will take forever. This simple frustration, voiced by Richard, would have a profound effect on the future of steel string guitar making. If I hold true to the principals and ethics of lutherie traditions, I can work as a team with others to accelerate the learning curve without compromise. This became the mission statement for the beginnings of boutique lutherie and the inspiration for the Santa Cruz Guitar Co.
We know that the whole is greater than the sum of its parts, and that through practice and study we will pursue ongoing improvement. Each of us has become masterful in our current specialties and collectively we embody nearly two hundred years of expertise. By adhering to the principles of physics and the tried and true practices of lutherie, SCGC guarantees the most sophisticated instrument of its kind. We will assure maximum sustain and complexity of overtones and maintain consistency of balance and tone specific to each of our standard models. To accommodate the subjective nature and personal requirements of EQ, tone and presence, we offer our considerable talents to deliver exactly what you need in a custom instrument. You will be in fine company with the world’s best players, including Eric Clapton, Doc Watson, Tony Rice, Warren Haynes, Elvis Costello and many others. Welcome to the Santa Cruz Guitar Company. An historical model for the contemporary player. 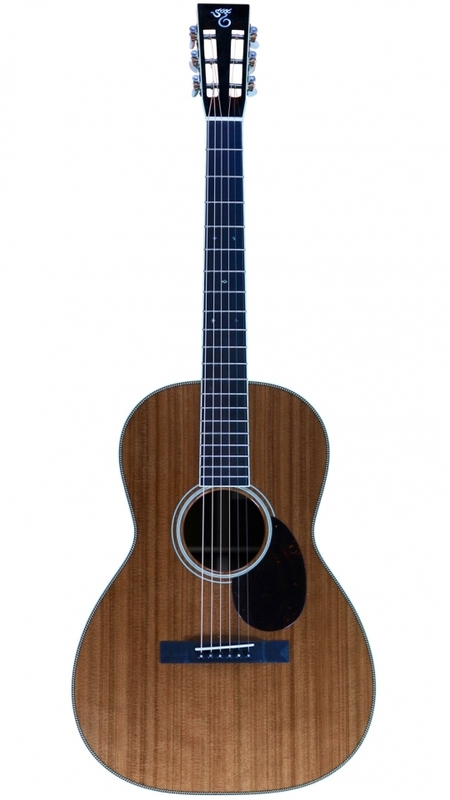 When the OM (Orchestra Model) was introduced in the 1920's, it was considered a large bodied acoustic guitar designed to be louder than other orchestra instruments. Today, with the Dreadnought, Jumbo and Super Jumbo models, we consider the OM a small bodied, yet pretty loud guitar, which fits finger picking and solo artists. The Santa Cruz OM model is a very clean guitar, you will not find on it any unnecessary ornaments and add-ons. It is clear sounding, has loud trebles and mid-range with healthy natural bass. 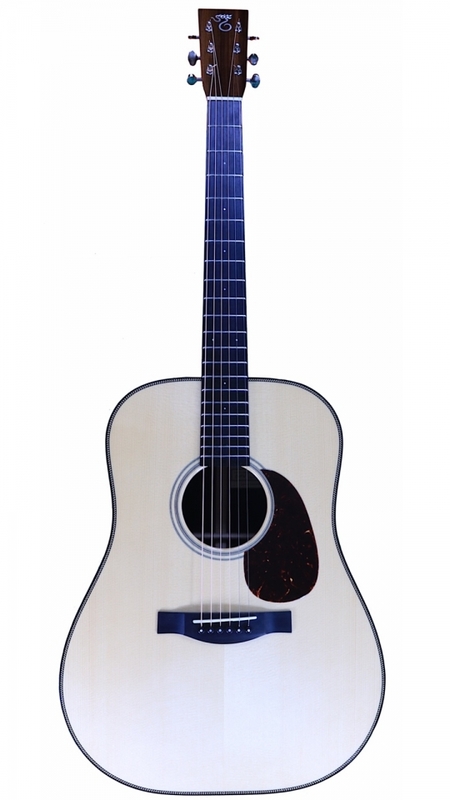 It plays smoothly and is perfect for finger picking and flat picking. An all Mahogany OO that tells the stories of the past. Don Edwards keeps the cowboy, one voice one guitar tradition going for over 50 years. Santa Cruz decided to honor his legacy and dedication with a beautiful, all Mahogany signature model. Don and SCGC's Richard Hoover designed the Don Edwards Cowboy Singer most probably with the famous Martin OO-17 in mind. They kept it simple looking but when it comes to sound the diversity and depth of the Don Edwards Cowboy Singer is all but simple. The loud and rich sound this small guitar projects is a wonder really, the only explanation we can think of to it is Santa Cruz's advanced building techniques. The Don Edwards Cowboy Singer can love, laugh, cry and hurt, just like a good cowboy song. Small body, extraordinary sound! 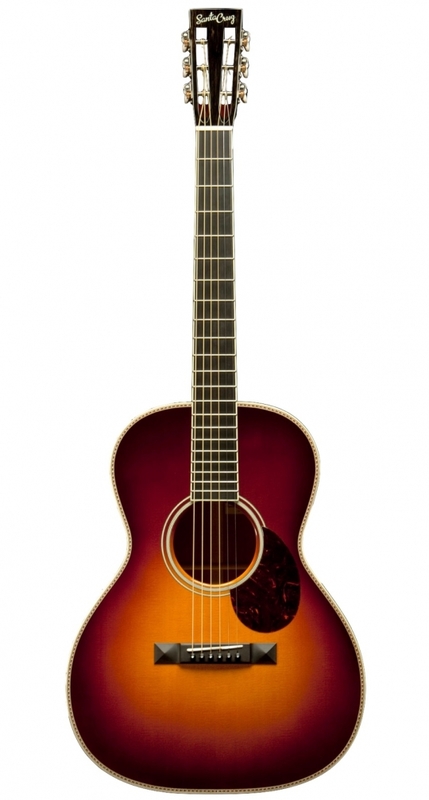 The Santa Cruz H13 was inspired by the Gibson Nick Lucas Special â a guitar that Bob Dylan played in his early days â in regards of the 13th fret where the neck joint is. Its deep body and the carefully selected woods produce a voluminous and resonant sound with a well-balanced and natural tone incl. rich bass which other small-bodied guitars are not able to deliver. Explaining with words is just not possible, check out the demos on the TonePedia player. SCGC's take on the legendary pre-war D-18. Santa cruz has a philosophy that says "to combine, not copy". In other words, they do not replicate famous models, they study them and refine what there is to refine in order to make their guitars up to date and iconic in their own right. The story of the Santa Cruz Vintage Artist began in 1991, when Richard Hoover and several vintage guitar experts tried to identify what makes the pre-war Martin D-18 guitars so desirable. The Vintage Artist features an advanced, scalloped X-bracing for powerful bass, complemented by the clear tone and definition of master grade Mahogany. More of the famous OM acoustic guitar. 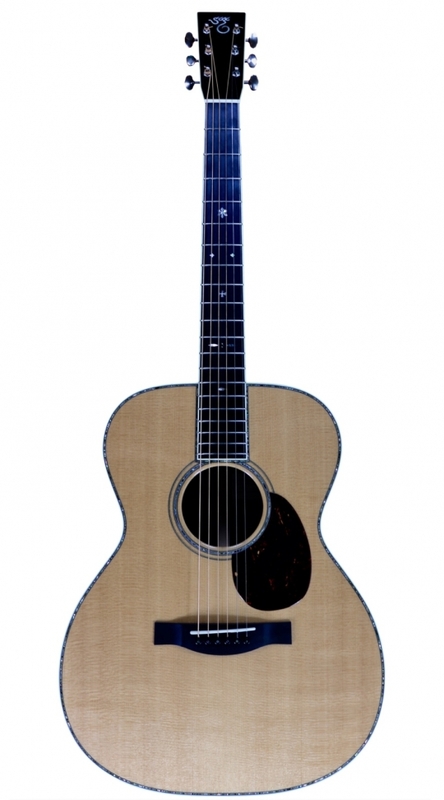 OM sized acoustic guitars are extremely popular among acoustic guitar players. They are comfortable to play and tend to have a well defined tone. The Santa Cruz OM Grand is all that and more.The story of the OM Grand is a collaboration between SC's founder, Richard Hoover, and his friends at The Denver Folklore Center. The request of the center was to have a custom OM with more power, and the result is the OM Grand â a larger bodied OM.The OM Grand is a great guitar for band playing as it's loudness is sufficient. Also solo artists who seek for the openness of the OM with a bit more headroom and body, might find the Santa Cruz OM Grand perfect for their needs. Master Grade OM-42 which is new but old. Master Grade Sitka Spruce top and Cocobolo body, attention to details and immaculate craftsmanship are what make this Santa Cruz OM-42 a remarkable guitar. 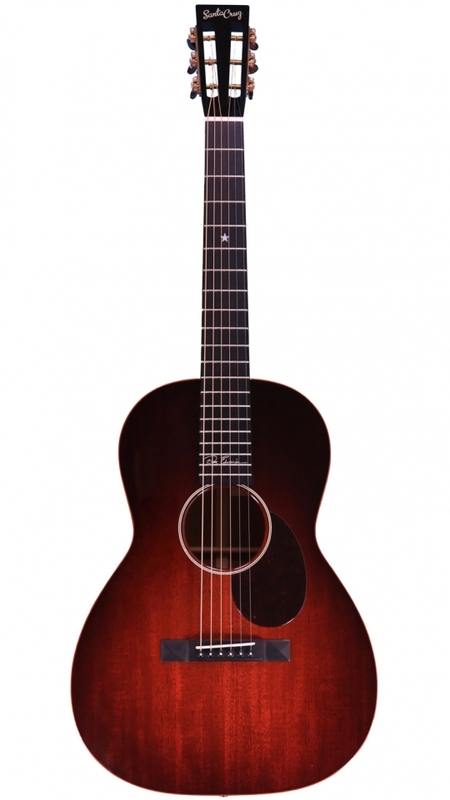 The balanced and full of substance character of the Cocobolo fits well with the responsiveness of the Spruce top. This interesting combination of woods projects an extremely sophisticated sounding instrument, full of clarity and and sensitivity. Articulation at its best. The guys at Santa Cruz said about it that "The D/PWâs powerful volume, overtones and rich presence is an epiphany to the uninitiated. There are no unnecessary design features on this model, simply the finest materials treated to SCGCâs state of the art lutherie." We couldn't agree more!This guitar is a joy to play, playing it for the first time makes you feel as if you've never really played an acoustic guitar before.Everything vibrates, the strings sing, the room is being filled with overtones and you immediately smile.It isn't a fancy one and looks pretty understated, which is not necessarily a bad thing.Anything you will play on it will simply sound perfect, with healthy low end (thanks to it's pre-war X bracing) which does not compromises the openness and livelihood of the guitar.Yes, it is expensive, but one note is enough to understand why. Appealing looks and an immense tone... The Santa Cruz Vintage Jumbo is the ideal blues guitar. A deep, rich bass, sweet trebles and an astonishing amount of overtones. Santa Cruz captured in this guitar the coolness and the essence of the classic round-shouldered dreadnoughts of the 1940âs. The sitka spruce top and the premium mahogany back&sides merge in a powerful tone with a lot of clarity. The lush and balanced sound is great for chord-oriented playing and accompanying vocalists. A true masterpiece made from very old wood by some of the most talented luthiers. Quite an investment but for sure a lifelong companion. 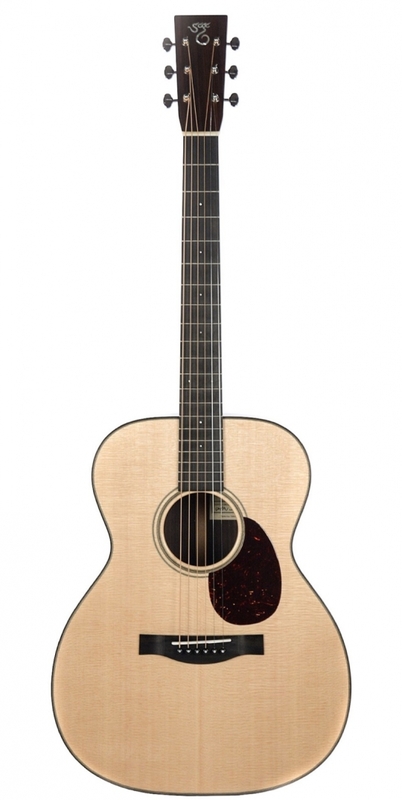 The Santa Cruz D model is a new kind of a dreadnought acoustic guitar. 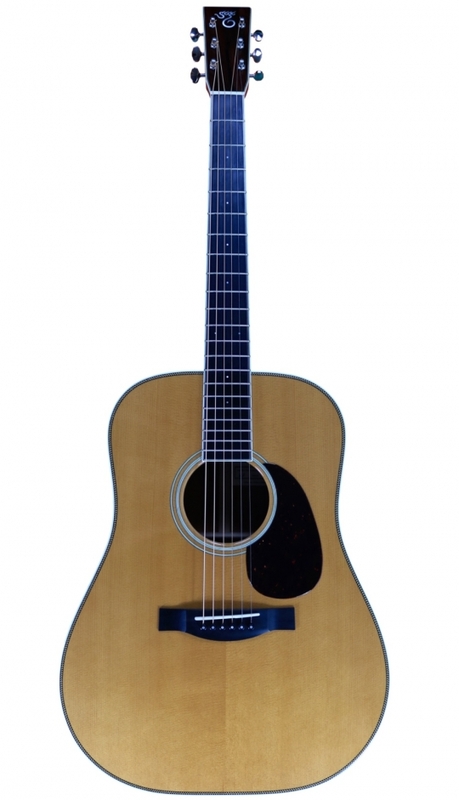 Most acoustic guitar players will tell you, dreadnought guitars are loud and have a full low end. That is also why we like them so much, they are powerful and great for strumming. Unfortunately sometime their bass is overwhelming and taking over the overall sound.Santa Cruz designed their D-Model with a unique tapered bracing in order to emphasise the mid range and treble. 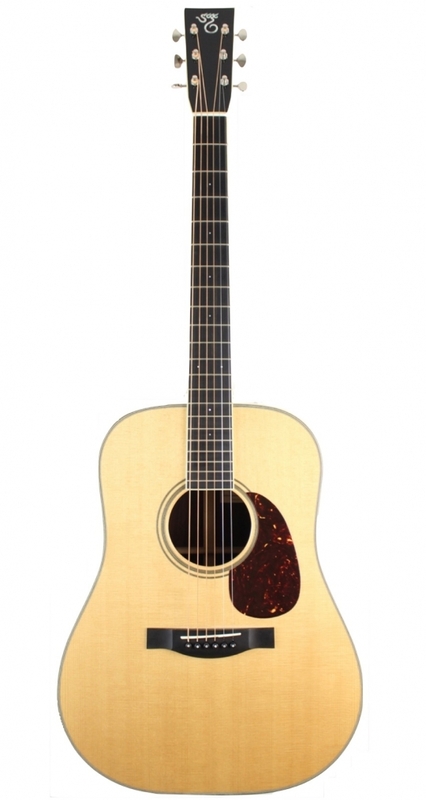 The result is a more balanced and open dreadnought guitar with equal volume and response across the different strings. It is clear to us that the Santa Cruz D Model was designed having the player in mind! 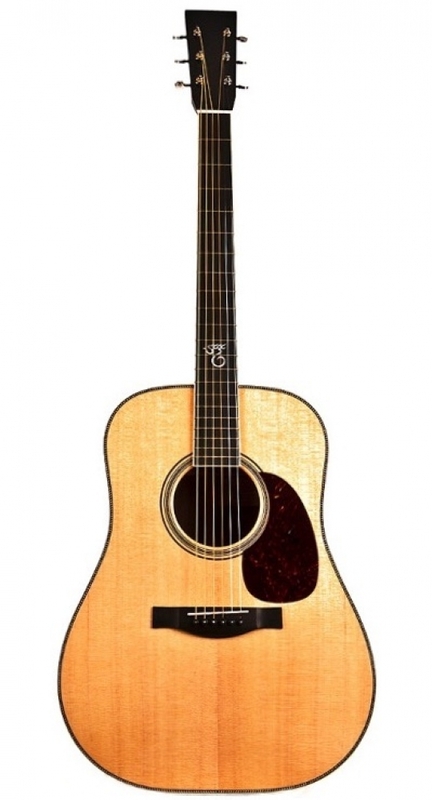 The playability is great, the sustain is healthy and generally it is a perfect guitar to the player that love that dreadnought bass but do not want to compromise on the high frequencies. The perfect pitch. The Santa Cruz 00 12 is an extremely balanced guitar, a surprisingly loud one we might add. At first note you might not understand why we describe it as "balanced", as the majority of guitar players are used to hear a lot of low end, but once you play the 00 12 a bit, you will realise that you hear every frequency in your music in a loud, clear and organically balanced way. The demoed 00 12 was a custom one featuring a beautiful flamed Mahogany body and Redwood top. This combination adds to the overall sound extra warmth and character. Thanks to its smaller scale (measured at 24.75" / 628.5mm) the 00 12 is tuned to pitch using less string tension, in other words, less force is needed when pressing the strings making this guitar an extremely comfortable companion. The Santa Cruz OM Prewar honors its pre-WWII predecessors. The Orchestra model acoustic guitar dates back to 1929, when C.F Martin started making them due to a client's request. Soon after the OM became the acoustic guitar everyone uses. Santa Cruz designed the OM/PW (Prewar) after those pre-WWII rare guitars with an advanced X and scalloped top bracing. The results is a louder and fuller sounding guitar. You will not find fancy rare woods or ornaments on the OM Prewar as it is not that kind of a guitar. Santa Cruz went after authenticity and kept the OM Prewar simple and stunning. A Flat-picker's dream... 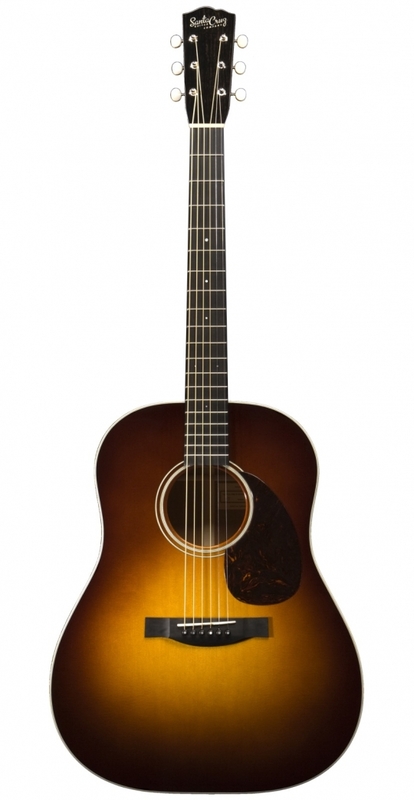 The Santa Cruz signature model is not a copy of Tony's 1935 Martin D-28 as some may think. It is actually the result of a long time collaboration between Tony Rice and Richard Hoover. In fact, as the years go by, both Tony and Richard keep bringing more input to the work bench, one from the player's view and the other from the master luthier's view, and constantly refine the Tony Rice Signature model.Tony Rice is a flat-picking and bluegrass icon, he worked with countless names in the music business including David Grisman and Jerry Garcia and is probably the most influential bluegrass player of our days. The Santa Cruz Tony Rice Signature model is designed to deliver exactly what a flat-picker needs, well defined trebles and high mids with fast attack for those fast single-line leads and that boomy, yet clear bass. Much more than the standard signature model. 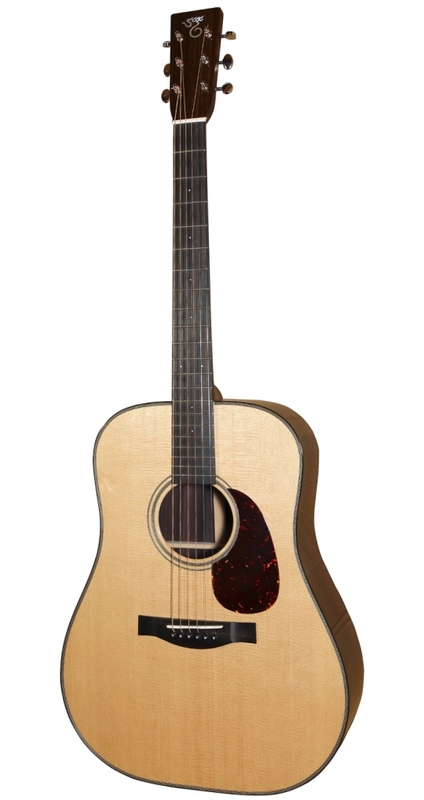 Signature models are often based on the material and playability specification of the artist. That much is true also when it comes to the Santa Cruz Brad Paisley signature model. Where this guitar differs from standard signature models is in the story that led to it's creation. Brad Paisley's desire to sustainability and quality led his friends (and a great shop) Artisan Guitars in Franklin, Tennessee, to bring him and Santa Cruz guitar company together. The beautiful dreadnought model sports Indian-Rosewood body and Bear Claw Spruce top, scalloped advanced X bracing and ebony fingerboard. The result is a fast attack, full and loud guitar which is perfect for anything you play that needs great string definition and steady tone. To the past, and beyond! The Santa Cruz D Pre-War is a child of several "open heart" surgeries of vintage Martin pre-war D-28 guitars made by Mr. Richard Hoover. It is considered by many as one of SCGC's most beloved guitar and there is a good reason for that - It is loud, vibrant, rich on overtones, full of presence and has great, yet simple looks. Needless to say, we are fans of it too. The Custom D Pre-War we have received for demos came with German Spruce top and Indian Rosewood body. The craftsmanship on it is spectacular and the overall feel of the instrument is simply great. As to sound, we invite you to experience it on our player and suggest that you'd compare it to the standard D Pre-War available on the website.